Never stop setting a beautiful table! There are a zillion things to distract you, but don’t stop enjoying the beautiful comforts of life! Shop at Erika Reade Ltd in Atlanta to add beauty and style to your home. Go from mundane to fabulous! 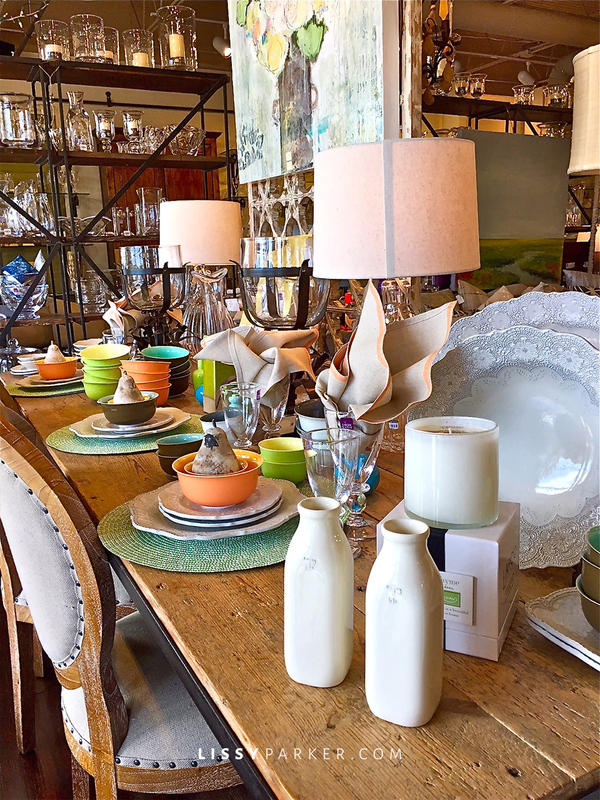 Erika Reade has beautiful table setting ideas, brilliant glass ware, rugs for every room in your fabulous home and a plethora of ideas to make shopping a delight. I found table ideas, fresh new bed and bath decor and inspiration around every corner for my home. If you need a gift for that special birthday girl or that adorable new baby, they have you covered. Erika Reade has a great selection of PJs, scarves, jewelry, beautiful blouses and cute sundresses all ready to pack and go. Never stop making your wonderful life fabulous! Fresh colors for summer entertaining—never miss the celebrations that summer brings. Never overlook fresh pillow to transform a room—go seasonal. Open your mind to new shapes and styles—never get stuck in a rut. Never stop giving—more ideas for your table and gifts. How about this painted cabinet to store your treasures—never forget to enjoy your keepsakes. Never forget to hide the clutter—in a beautiful antique preferably. And those chairs—wow! Never forget lighting—think spring with these aqua lamps! Look at these fabulous textures—never stop appreciating design elements! How about lovely new linens? Never forget to freshen your bed. Loving this all-white look—never stop freshening your look. Never forget to stock the bath—soaps, bath salts and bubble bath. Ahhh …. And how about this charming shelf to store your towels and bath goodies. Never forget the to add scents—try the Prosecco or Peony. Enjoy a bit of candy—don’t say never—but be careful because the Toffee is addicting! And what a fabulous lamp! Never forget those special graduates this time of year—how about a nice frame? Adorable gifts for all of the little ones—never stop sending baby gifts. And never forget Mom—it’s almost Mother’s Day! Beautiful photos! Where is this store?